Fiber Flux: Free Crochet Pattern...Petite Pumpkin Applique! 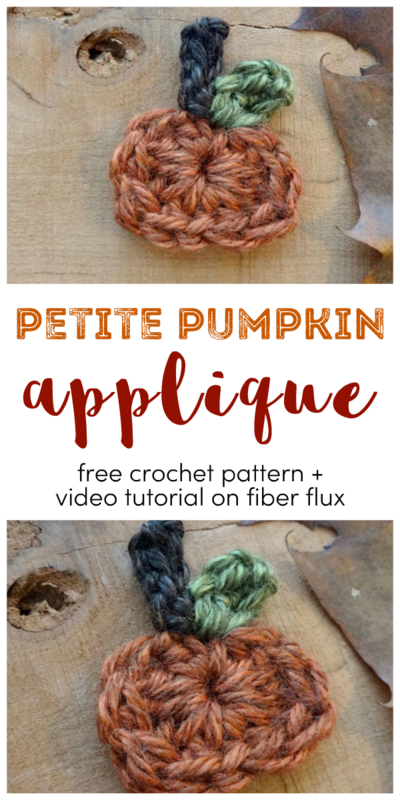 Free Crochet Pattern...Petite Pumpkin Applique! 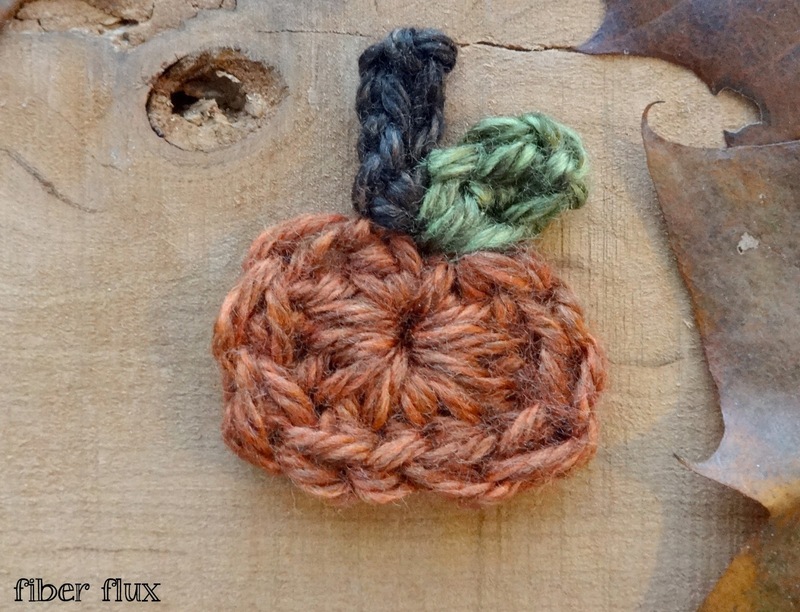 Using just a bit of of yarn, this petite pumpkin works up in no time. The pumpkin itself is worked in just one round and is topped off with a stem and tiny leaf. A perfect applique to add to your fall decor, a garment, or a tote! Round 1: chain 3, then in the center of the ring, work a hdc, dc, 2 tr, dc, hdc, dc, 2tr, dc, hdc, join to close pumpkin with a sl st and fasten off. 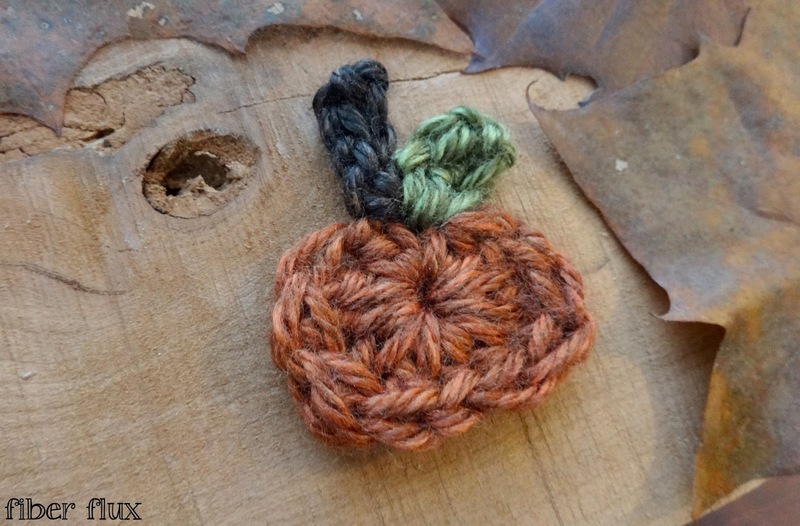 Tie brown yarn to the stitch at the center top of pumpkin and chain 4. In the 2nd ch from the hook work a sc. Work a sl st in the next two chains, then work one more sl st into the stitch at the base (where the brown yarn was tied on). Fasten off. Tie green yarn into the same stitch that the brown yarn was tied into and chain 3. In the second ch from the hook, work a hdc, work a hdc into the next chain, then slip stitch into the same stitch where the yarn was tied on. Fasten off. Weave in the ends and you're all finished!